Bolton skip hire is a family run business which has been serving both the commercial and domestic industry for 20 years. We supply skips from 2-40 cubic yards, we also have weighbridge and tipping facilities. Our fleets are all up to date with vehicle trackers, this helps us to provide the best possible service, which we are sure will be second to none. We provide domestic skip hire in the Bolton area, there’s no project to small or too large for us, which is why we also supply a range of skips for domestic waste removals including mini, midi and drop door maxi skips. Whether you’re renovating your home or you’re building a brand new one, our skips are here to help. 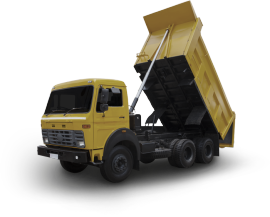 With the different sizes available, you won’t have to worry about loading trucks, transporting the waste, and disposing of it on your own. Commercial properties produce waste too, which is why we advise business owners to consider our commercial skips for hire service in Bolton. We give your business the ability to clear out unwanted products and fixtures to ensure that you’re maximising the space that you have. Industrial sites are one of our most popular industries mostly because it can be relatively impossible for most workers to lift pounds and pounds of unwanted materials. You’ll also want to consider what items are recyclable and which ones aren’t. With the help of our skip hire services in Bolton you can ensure that all of your worksite waste is handled effectively and professionally. Are you looking for skip hire in Bolton? With our superior knowledge and expertise, we can provide you with the most reliable waste management solution which is cost-efficient and sustainable, so if you’re unsure which size skip suits your needs and requirements, simply speak to the experts here at Bolton Skip Hire today! With Bolton Skip Hire you needn’t worry about recycling because it’s our responsibility to take your skip to the recycling centre where it will be sorted and categorised – we aim to recycle 90% of everything that you throw away! 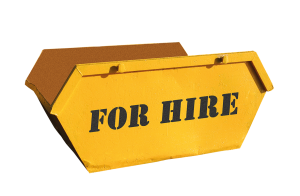 Skip hire Bolton is convenient, we only deliver your skip at a time that suits you best, we believe in offering a reliable service which is traceable and honest. Rest assured you won’t be faced with any unnecessary charges – our pricing is transparent and fair! Whether looking for a DOmestic, Commercial or Industrial Skip. Contact us here at Bolton Skip Hire or Book Online! 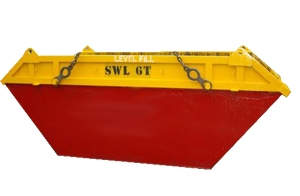 We can supply the following skips for domestic waste removal. "A friend recommended Bolton Skip Hire to me and I couldn't be any happier with their service. The best price, very helpful staff, and most importantly met my requirements on time. Next time you are looking to hire a skip, I would recommend using Bolton Skip Hire." "Do not look any further than Bolton Skip Hire for skip hire services. By far the most generous, easy to deal with and helpful skip hire company, I have ever used. I booked my skip and paid for it online, it was delivered on time, placed in the correct place for myself and picked up after ringing and confirming that the skip was ready to be picked up." "Wish I had found Bolton Skip Hire sooner. The best price, easily the most helpful, but importantly I could stick to my plans due to the agreed delivery and pick up times. I am very happy and I now know Bolton Skip Hire will be the company that i will be using for my skip hire services."